How can I be sure that my client is progressing in our training? It’s a question I would expect most coaches to ask themselves pretty frequently, which is why we created Metrics to help answer that for you! Having a detailed overview of your clients helps ensure that the time you spend programming is effective. Simply, a metric is anything you would like to track results for over time. 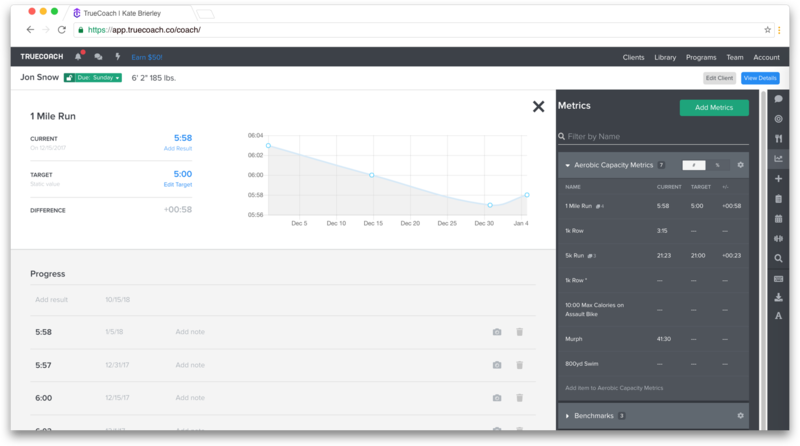 The metrics and metric sets that you create are 100% customizable, so you have total freedom in the information you collect. To create your first Metric Set, let’s head to the Library. When you create a set in the Library, you can assign this to multiple clients at once and save it for new clients you may get in the future. Enter in as many metrics as you’d like to include in that set. You can easily re-order by dragging and dropping within the list. Need another measurement unit? Email us at [email protected]! 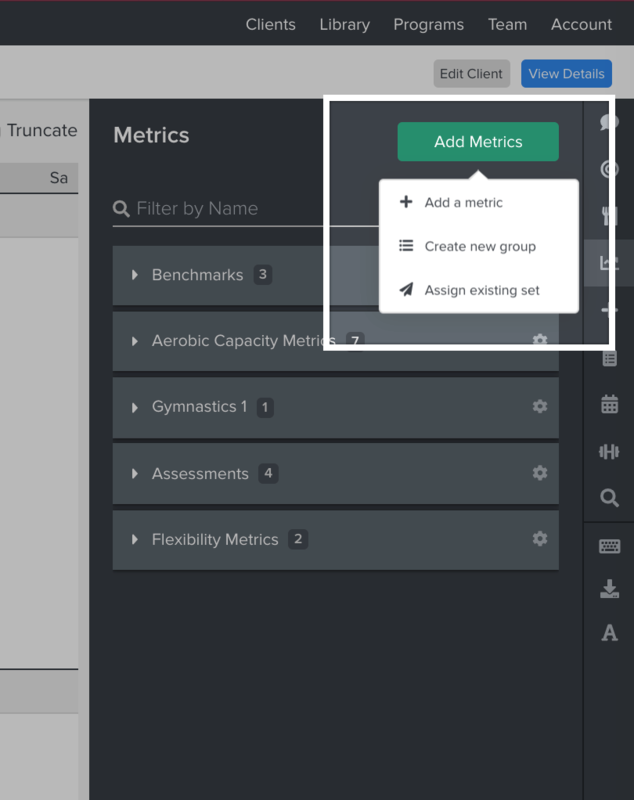 Now that you have your first metric set created, it’s time to assign it to a client! You can either click 'Assign set' at the top right of the set, or 'Add clients' where you see the current assignments towards the bottom. 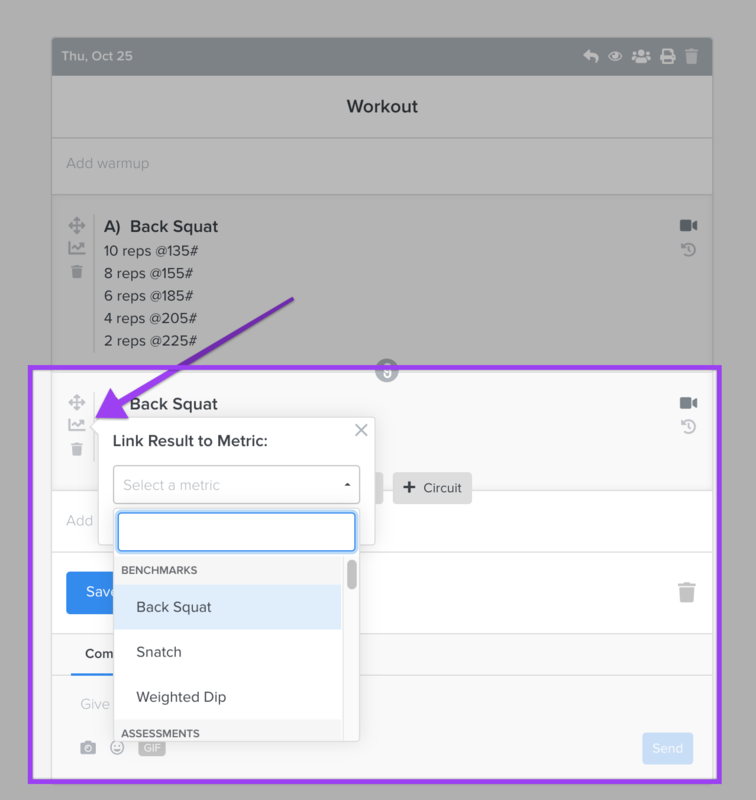 Much like creating and assigning a metric set in the Library, you can do the same for a specific client from the sidebar on their workout calendar. This set will not save to the library, so it is a great tool for a client who may have some more specific needs. 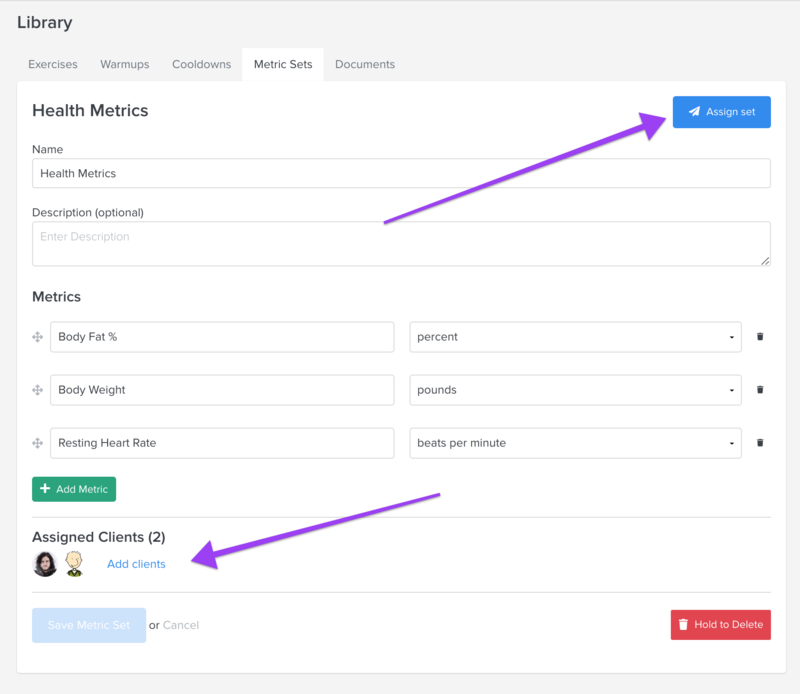 Head over to a client’s workout calendar and click on the Metrics icon on their sidebar. 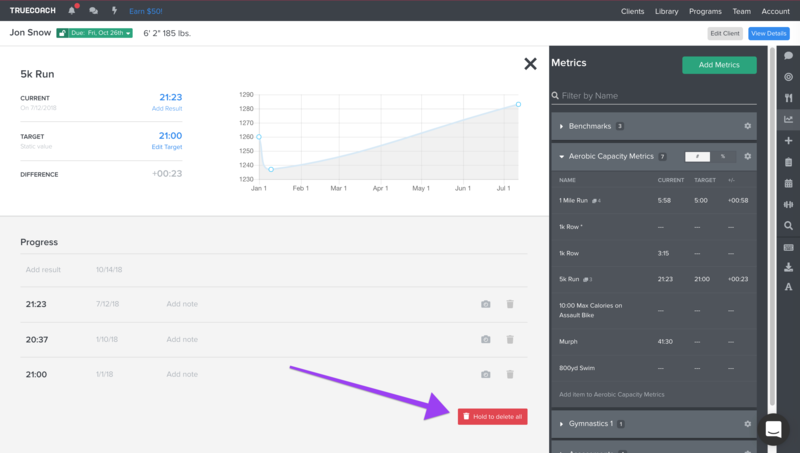 After clicking Add Metrics you’ll be able to add a single metric, create a group, or assign an existing metric set. Much like the Metric Sets in the library, you can drag and drop metrics within their groups or into another. Now that you’ve got a metric assigned to a client, you can start collecting data! There are a few ways to do that. The Client Profile - when your client visits their profile page, they can see and update any metrics assigned to them. 2. Client Sidebar - quickly update a metric for a client from the sidebar on their workout calendar. 3. Linking to a workout - these will automatically update when the client enters a result for an exercise that’s linked to a metric. In the sidebar, you can delete individual metrics as well as any groups you've created.